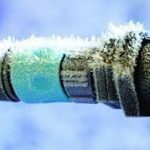 Prepare now to avoid frozen faucets and pipes later…. TCM Restoration & Cleaning is a local, independent, Alaskan-owned business providing cleaning and fire, water & mold restoration services to the Anchorage and Mat Su Valley since 1996. © 2019 TCM Restoration & Cleaning. Powered by Spot On Solutions.